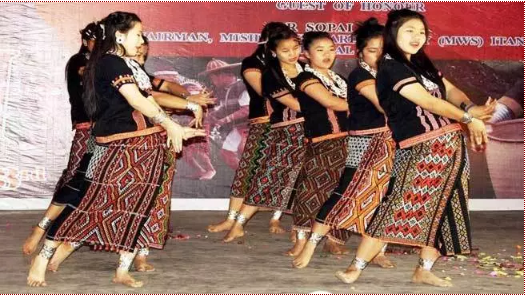 Reh, a major festival of Arunachal Pradesh’s Idu-Mishmis, is being celebrated in Lower Dibang Valley (LDV) and Dibang Valley districts with pomp and gaiety. The celebration of the three-day festival started on Friday. According to report published on Saturday by Arunachal Times stated in LDV, the central Reh celebration (CRC) is being organised by an all-women team under the aegis of the Idu Mishmi Cultural and Literary Society (IMCLS). The theme of the Reh celebration at the central Rehko in Cheta here is ‘Beti Bachao Beti Padao’. It has been reported that the Igu (shaman) performing Reh rites during the festival is also a female. As per the report, this festival has been celebrated by an all-women team which has happened for the first time in the history of any festival celebrated in the state. The initiative of the IMCLS to constitute an all-women team as the CRC committee has been lauded by many. Sahitya Akademi awardee Mamang Dai, while commending the initiative of the IMCLS, lauded the all-women team for organising the festival in a grand manner. Dai also launched the official website of the Idu Mishmi Cultural and Literary Society on the occasion. The Sahitya Akademi award winner also launched the Reh souvenir. Arunachal Pradesh Women’s Welfare Society (APWWS) spokesperson Gumri Ringu said courage and confidence come with education, and that education is the most important key to women’s empowerment. During the event, women achievers of the Idu-Mishmi community in various fields were felicitated. Earlier, a procession was also taken out by various self-help groups (SHGs) of the district, displaying placards and shouting slogans about social evils against women, and about educating the girl child. A traditional fashion show was organised depicting women’s position in the Idu-Mishmi society, besides, many other cultural performances were presented.